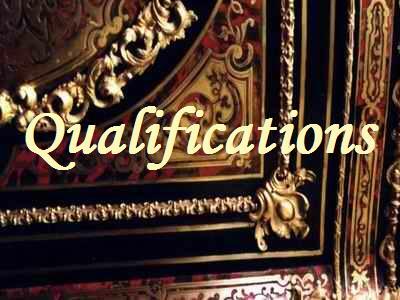 I graduated in 1997 in 'Furniture Restoration and Craftsmanship' obtaining a 2:1 Bachelor of Arts degree with Honours studying for 3 years at Buckinghamshire University, High Wycombe. Studies included furniture history, design and construction, ethical aspects, material science and timber technology/identification along with intensive hours 'at the bench' developed the foundations for the broad skills and knowledge required in the profession. Practical skills included cabinet making, traditional upholstery, polishing, metal work, gilding and specialized skills connected with the field of conservation and restoration. It was a valuable foundation, and should be embraced and understood within the profession, not as a substitute for traditional experience but rather than a very valuable addition to it. I still work with another graduate of the course on occasional large joint projects. Experience: I have worked extensively with other established professionals to gain the essential experience traditionally sought from apprenticeships. Working on a large range of items, from humble family pieces of sentimental value to very fine pieces by some of the finest historic makers. Working for a variety of clients; dealers, collectors, institutions but mostly the general public. Such broad experience develops an understanding of an appropriate balance between conservation and restoration in whatever context a valued item finds itself. 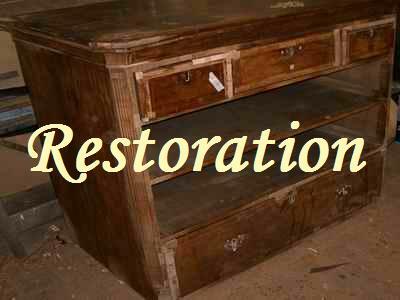 Restoration as a profession benefits from a broad knowledge, as well as the practical skills. Expanding this knowledge is a continuous ongoing process, requiring research for specific projects in order to achieve the best results. I am also currently studying BSc(Hons) Environmental Science as a personal interest.